Another American Mountain Strop. 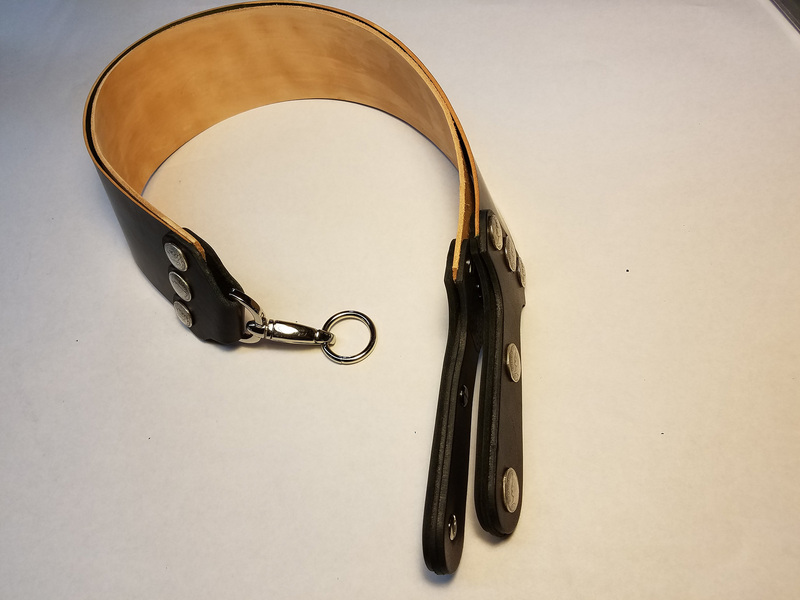 This handmade strop, MY “ORIGINAL NINJA” is custom crafted, and designed for use by both novice and veteran straight razor shavers. 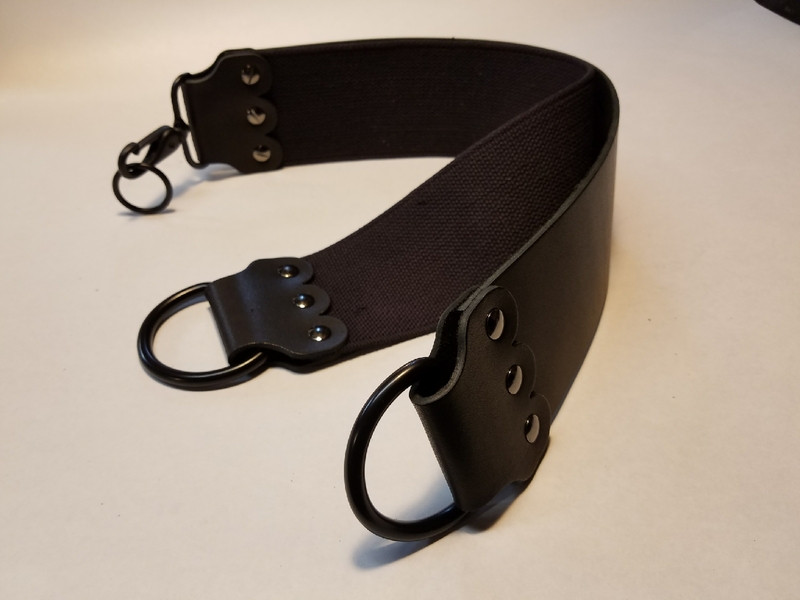 Strop measures 2″ x 17″ and is actually two separate strops joined together at the top with a Powder coated BLACK swivel clip and ring. 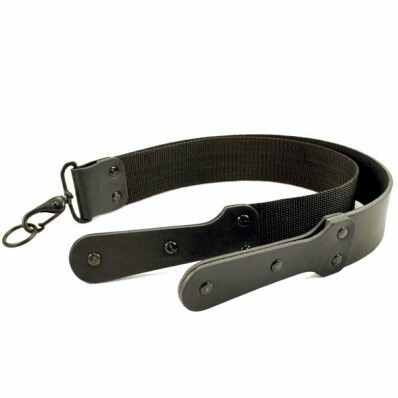 This one is made of Prime Quality LATIGO Leather and the second of now a “HAND DYED BLACK COTTON” webbing. Not Black “NYLON” Webbing. I finish them with gunmetal black Chicago screws for an easy change out of damaged components that are Always available through me. As a reminder an X Pattern Sharpening technique is required to properly use a 2″ Strop. This durable American-made strop will season with age and keep your straight razor “Shaving Sharp” for the life of the razor. This durable American-made strop will season with age and keep your straight razor “Shaving Sharp” for the life of the razor. WHEN ONLY THE BEST WILL DO, I’VE GOT YOUR BACK!